There’s No Limit to What You Can Create. 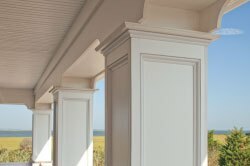 From distinctive charm to timeless style, homes dressed in Restoration Millwork trim have curb appeal that always generates a second admiring look. 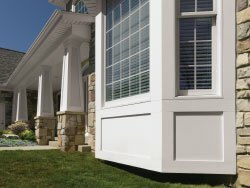 With so many options in trim styles, there’s no limit to what you can create. The InvisiPro System provides an attractive, easy-to-install alternative to traditional face nailing. Trimboards and J-Pocket Trimboards feature grooved millwork that precision-fits to flanges secured directly to the wall, working together with both nail hem flange and starter flange for a secure fit. One piece corners also utilize the same nail hem flange, eliminating the need to face-nail.